Putting the We in Winning: a review of Tell to Win, by Peter Guber - Communicate! Fifty pages into Peter Guber’s acclaimed book Tell to Win, I was getting more and more upset. Where were the women? Not in the blurbs on the back cover: from Roger Ailes to Mohammed Yunus, all men. Not in the many stories that Guber told to “connect, persuade and triumph with the hidden power of story” (the subtitle of his book). All of the stories he included were told by and about men. The exception that proved the rule was Susan Feniger, co-owner of the Border Grill chain…and her story was told by a waiter in one of her restaurants. I’m a man, so why did I care about the missing women? I’ve worked all my life with nonprofit organizations, where women are the majority (and increasingly, the leaders). By leaving women out, Guber was sending a signal that this book might not be for me or the organizations I care about. Add to that the idea that success always involves “winning” and making a sale–as opposed to building community, nurturing relationships, or exerting power for social good–and Guber was talking right past me. I was about ready to put the book aside. People WANT to hear stories. Who would go to the movies to see a PowerPoint presentation? Begin with a problem, build tension with your hero’s struggle, and end with a solution that inspires the listener to act. Know your listener well enough you can predict how they will react. Prepare, prepare, prepare. It’s more important to be interested (in your audience) than to be “interesting.” Make the story about them, and about what you share. Meet the listener where they are. Find the context where they will be most receptive to the story you are going to tell. You’ll know you’ve really succeeded when your listener starts telling your story to others. Everything here is relevant to nonprofit work, and if Peter Guber were talking to me face to face, he probably would have told his stories differently, to bring me in. As it was, he really didn’t reach me…until I read about Norma Kamali. 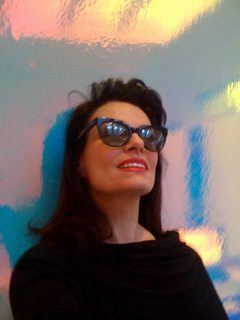 Norma Kamali was a high-fashion designer with a “naturally quirky style.” Walmart approached her about designing a line of clothing for lower-income women. She was excited but afraid. Walmart’s suppliers were used to producing clothing as quickly and cheaply as possible. What could she say that would make the people who actually cut and sewed garments for Walmart give low-cost clothes their utmost care and attention? She knew that’s what it would take to make her new customers proud to wear her designs. What she remembered was the stories she had been told by low-income mothers at a public high school in Manhattan….These mothers were so ashamed of their clothes that they never came in for school conferences or even met their kids’ teachers. “Norma told the story of those mothers to the vendors, sales force, and media, and everyone who supported this new brand felt like a hero,” Guber wrote. Aha! There are the women–and there is the hook for nonprofit organizations. Let’s tell stories that make people who work for good feel like a team of heroes. We may be playing in a different league than Guber and his Hollywood buddies–a league of our own--but we can win, together. Read this book if you want to make the team strong.